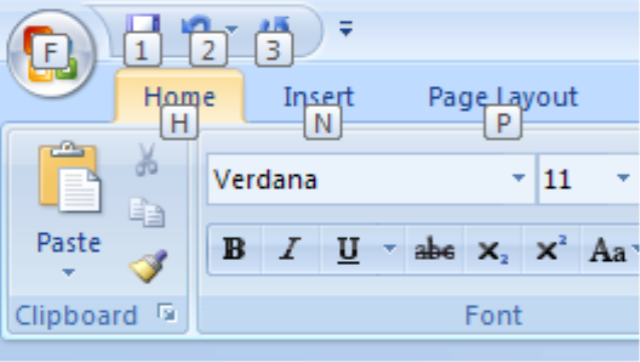 Hi – looking to see how to create a 2011 calendar in Word 2010 – click here. now is the time to start creating your own 2011 calendars using Word 2007. It couldn’t be any simpler than that. Wishing you and your family a wonderful year ahead! I have launched a Facebook Fan page, so you can keep up to date with all the tips, tricks and tutorials from TheNewPaperclip.com! So to celebrate all these good things, I am giving away a great resource – almost 1300 pages of everything you would ever want to know about Microsoft Office 2007. So what do you need to do to be in the draw to win? Post on the wall of the fan page the one thing you would love to know how to do, or problem you would love to solve in Office 2007. I will pick a winner at random from all the wall posts, and let you all know here, and on the Facebook Fan page who the winner is. That is all there is to it – just become a fan of The New Paperclip today, and let me know what Office 2007 problems you would like me to help you with – and you could win! GOOD LUCK! PS… whilst we are at it, if you are on twitter and not following @thenewpaperclip… why not?